All frames are built from scratch, individually created for each piece. Hardwoods such as oak, white maple, spruce, fir, cherry, alder, & walnut are selectively used, ripped down, constructed & stained. 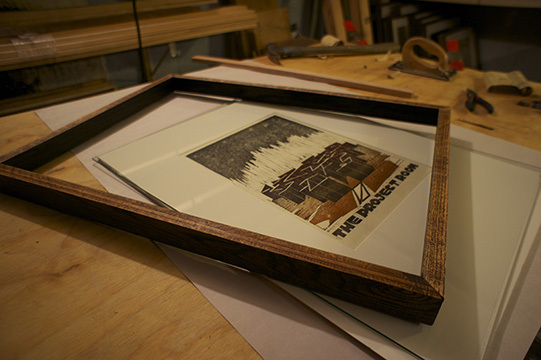 All framing and matting is completely archival. Please email for all inquiries & quotes. Individual visits scheduled on an ongoing basis.